Magellan radar data from western Vinmara Planitia on Venus reveal a system of radiating lineaments extending 450 km from a small central annulus. Spatial variations in lineament density, orientation, and morphology, as well as structural and volcanic correlations, provide strong evidence that formation of the lineaments was related to subsurface dike emplacement. We infer from the observed surface deformation that the dikes were emplaced laterally, at shallow depth, from a large central magma reservoir. This configuration is analogous to that of radiating dike swarms found on Earth. Because dikes inject normal to the least compressive stress direction, swarm plan view geometry will reveal the greatest horizontal compressive stress trajectories. We interpret strongly radial orientations near the swarm center to represent radial stresses linked to pressurization of the magma reservoir. Increasingly non-radial behavior dominating at greater distances is interpreted to reflect a N60E±20° regional maximum horizontal compressive stress. Contrary to previous inferences that a persistent E–W compressive stress dominated throughout, analysis of the arachnoid indicates that a N60E compressive stress must have existed across western Vinmara Planitia during a portion of its deformation. This and the absence of distributed shear within the adjacent deformation belts indicates that the regional maximum horizontal compression orientation has varied over time. Comparison between the regional stress orientations inferred from the arachnoid and several nearby ridge belts illustrates that stress orientations may potentially be useful for determining relative belt ages in areas where the timing of ridge belt formation is difficult to assess by more direct means. 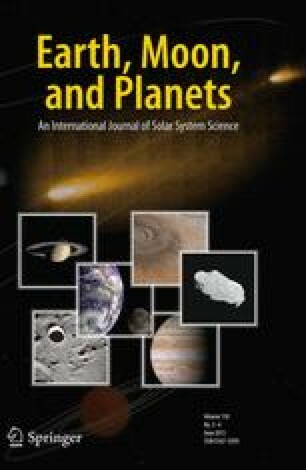 This demonstrates one way that identification and analysis of giant radiating dike swarms can provide new information critical for regional stress interpretations on Venus.